IMO: 6402688 Cargo Ship. Type B 454 Ship?s Yard: Stocznia Szczecinska im. A. Warskiego., of Szczecin, Poland. Hull N? : 454/04 DWT: 10.526 GRT: 6.919 NRT: 3.672 TRG:6.919 LOA: 153,52 Mts. B: 19,41 Mts. D: 11,69 Mts. Draught: 8,27 Mts. Holds: 5 Tweendeckers: 8 Main Engine Sulzer 6RD76; 2T; 6 cylinders (760 x 1.550); Zaklady Przemyslu Metalowego "H. Cegielski", Poznan, Poland. Boilers: 7.800 bHP. Propellers: 1 Speed: 16,50 Knots. 02 October 1963. Launched for Polish Ocean Line, Gdynia. Christianed Wladyslaw Broniewski. (Flag: Poland) 29 December 1963. Delivered. 20 May 1985. 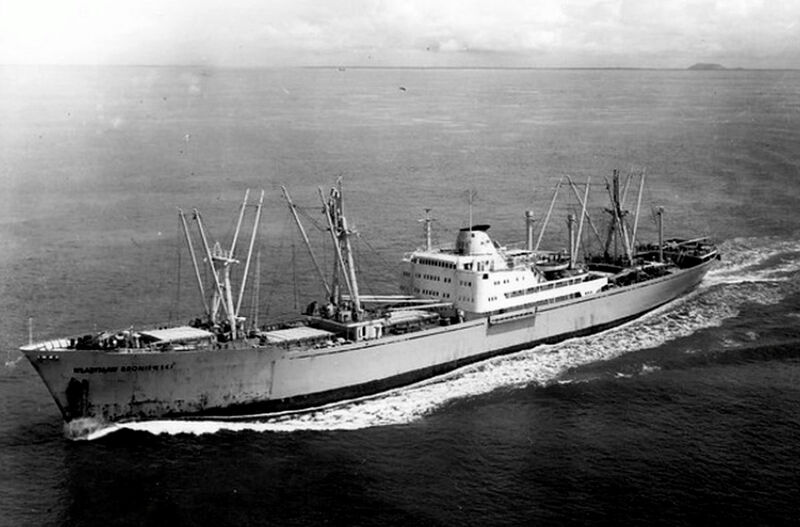 Sold to Nanica, Naviera Nicaraguense C. A., Managua. Renamed Carlos Fonseca Amador. (Flag: Nicaragua) 1987.Same Owner. Renamed C. F. A. (Flag: Nicaragua) 1988. Sold. Renamed C. F. A. I. (Flag: Panam?) 30 October 1988. Broken up at Kaohsiung, Taiw?n.